1. The length overall (LOA) must measure between 30 and 65 feet. 2. The design must be a sailboat and may have more than one hull. 3. 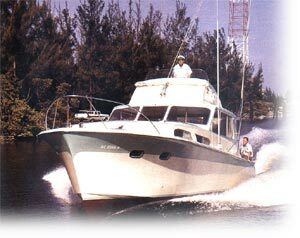 The boat must be designed for serious cruising by two or more sailors for a three-week cruise, minimum. 4. The design may be for coastwise or offshore cruising. 5. The design may be traditional or modern, conservative or radically innovative. 6. The designer must submit a clear mission statement, explaining the goals of the design and how these goals are met. Maximum length of this statement is 1,000 words. 7. The designer must submit at least: general dimensions (LOA, designed waterline (DWL), beam, waterline beam, draft); displacement; sail area; displacement length (D/L) ratio; sail area to displacement (SA/D) ratio; ballast and ballast/displacement ratio. 8. Drawings must include sail plan/outboard profile, deck plan, arrangement plan, and inboard profile; at least four joiner sections (cross-sections); at least one construction section at midships; hull lines . a. CAD files may be submitted on CD, either in AutoCAD “.dwg” or “.dxf” format, and must be finished 2D drawings (not 3D files) ready to print. Print size is to be set up for paper no wider than 24 inches (609 mm.). b. Renderings must be submitted in JPEG or TIFF format. c. Manual drawings must be no larger than E size (36 inches by 48 inches or 914 by 1219 mm.). d. Do not send original drawings. Drawings will not be returned. 10. The design must not be previously built or published elsewhere other than in preview form on a designer’s website before Cruising World’s announcement of winner(s) in the August 2007 issue. 11. No more than two designs may be submitted by any one entrant. 12. Contest is open except to employees (and family members) of Westlawn Institute of Marine Technology, the American Boat & Yacht Council, Island Packet Yachts, and World Publications. To enter, mail your design entry to: Cruising World Design Competition, Westlawn Institute of Marine Technology, 613 Third Street, Suite 10, Annapolis, MD 21403. All entries must be postmarked no later than March 1, 2007. • Ease of handling, comfort, and safety. All criteria will have equal weight. The judges will select a group of 12 finalists from all entries From the final 12, one winner and up to four honorable mentions will be selected. Awards: The winner will have his or her design featured in an article in Cruising World and will receive a $2,000 scholarship to be used towards any Westlawn Institute of Marine Technology course, or $1,000 check (at the winner’s option), along with a certificate as the winner of the 2007 Cruising World’s Westlawn/Island Packet Design Competition. Honorable mentions will receive a certificate. Westlawn students who wish to enter the competition may also use their entries for their Westlawn lessons. It is recommended that Westlawn students interested in entering check with their instructor on the design idea and what lesson they’d like to apply this work towards. “We’re excited to be introducing an exciting and new design challenge," said Dave Gerr, Westlawn Director. "The Cruising World Westlawn/Island Packet Design Competition is designed to encourage people to explore the possibilities of yacht design and uncover new design talent from around the world. We’d like to personally thank Bob Johnson, President of Island Packet Yachts and Westlawn Board member, for generously donating the prize money for this competition and his support of yacht design over the years,” concluded Gerr. ■ To provide our students with the skills knowledge required to build a rewarding career in the profession of yacht and small-craft naval architecture. ■ To support continued growth of the recreational and small-craft marine community through the development of well-trained, safety oriented, boat designers developing better products for the benefit of the boating public. ■ To provide continuing education to marine industry professionals.